But comebacks don’t always result in victory, which was the case on Friday night. 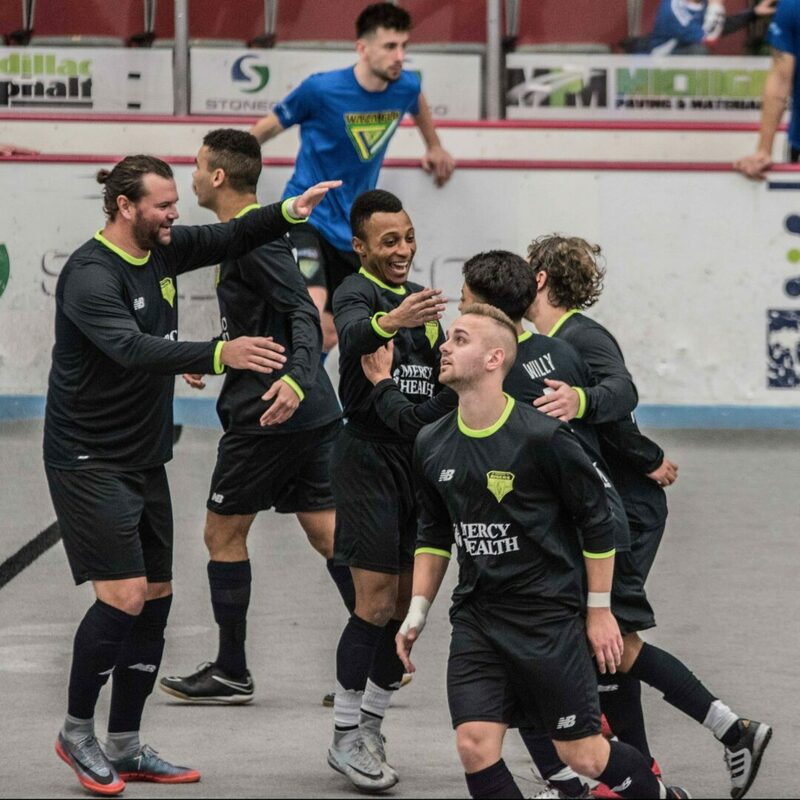 Two weeks ago the Risers stormed back from a four-goal deficit to defeat Detroit Waza Flo and claim their first victory of the Major Arena Soccer League 2 season. On Friday, they trailed Waza Flo again, this time by two goals headed into the fourth quarter. But the Risers struck for two goals down the stretch to tie the game and force overtime. 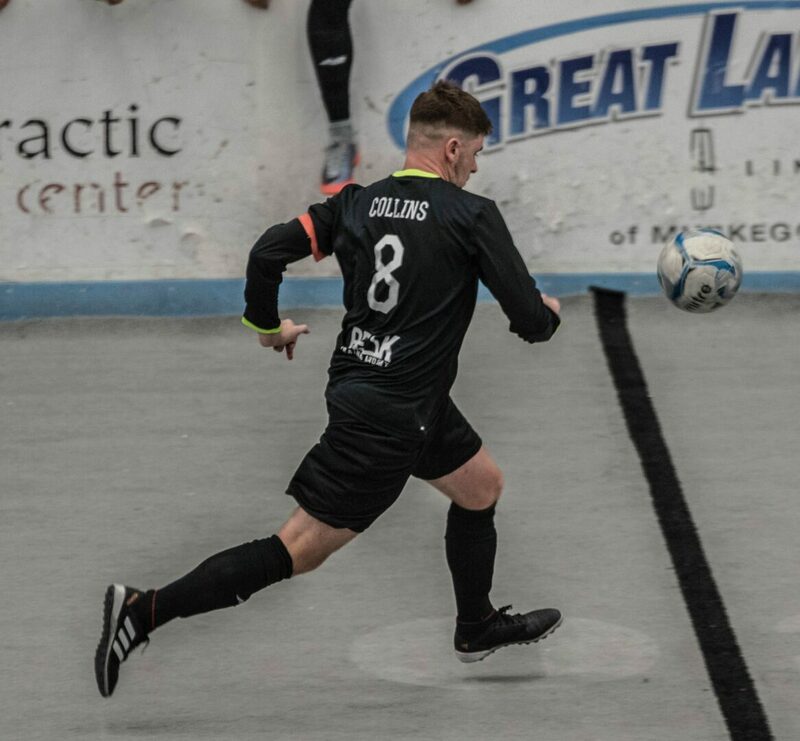 Unfortunately for Muskegon, Waza Flo’s Joey Tinnion scored just 11 seconds into overtime to give the visitors a 6-5 victory and spoil the Risers’ spirited rally. The Risers, now 1-4 on the season, will return to action Saturday night in Chicago against the Mustangs. 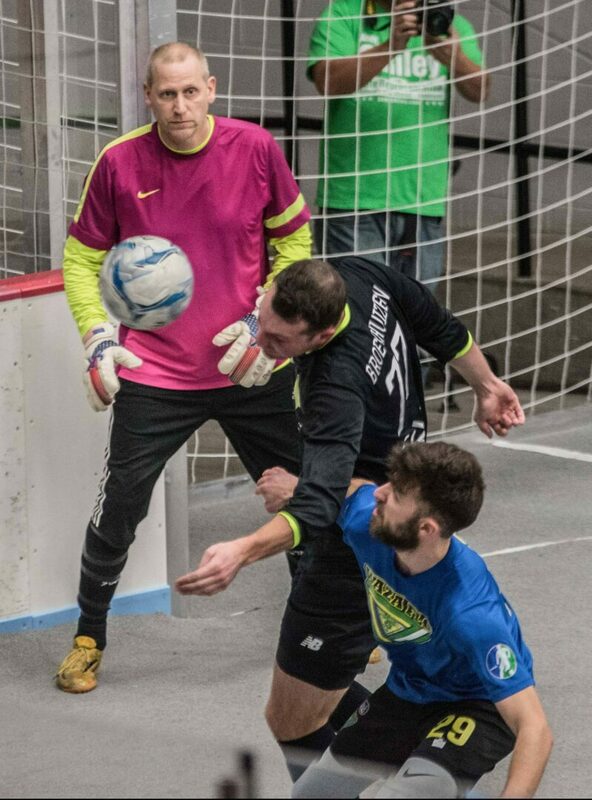 “In indoor soccer you’re never out of it, even if it’s a three or four goal difference,” said Risers Coach Ben Ritsema. “We came back well and had our chances to win. Six inches here, six inches there. It is what it is. The Risers were playing without two key players who helped them secure their victory two weeks ago. Forward Justice Sikkema, who scored three goals in that game, has left the team to return to college in England. Standout defender Michael Schmitt missed the contest while serving a one-game suspension. But Ritsema did not use the missing players as an excuse for the loss. The night started out badly for the Risers when Detroit’s Mitchell Brickman scored 16 seconds into the game. 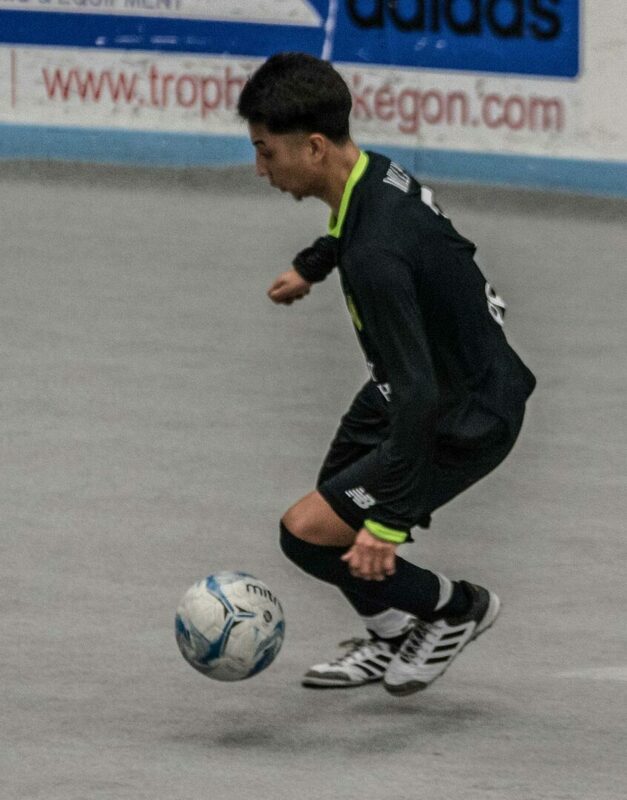 Muskegon’s Willy Guerrero tied the score 1-1 with a goal about two minutes into the contest. Detroit went up 2-1 about 3 1/2 minutes later when Muskegon goalie Jay Toric appeared to accidently knock the ball into his own net. Brickman was credited with his second goal of the night. The Risers pulled ahead 3-2 on a pair of goals by Paris Martins in the second quarter. But Detroit grabbed a 4-3 halftime lead with goals by Vincent Vultaggio and Saeed Tawil. Waza Flo had the only goal of the third quarter and led 5-3 heading into the fourth. But the Risers fought back again. 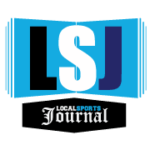 Joe Broekhuizen blasted a high, hard shot over the Waza Flo goalie with 13:35 left in regulation, making the score 5-4. Then Muskegon captain Stu Collins tied the game with a free kick just outside the goal box with 5:17 remaining. 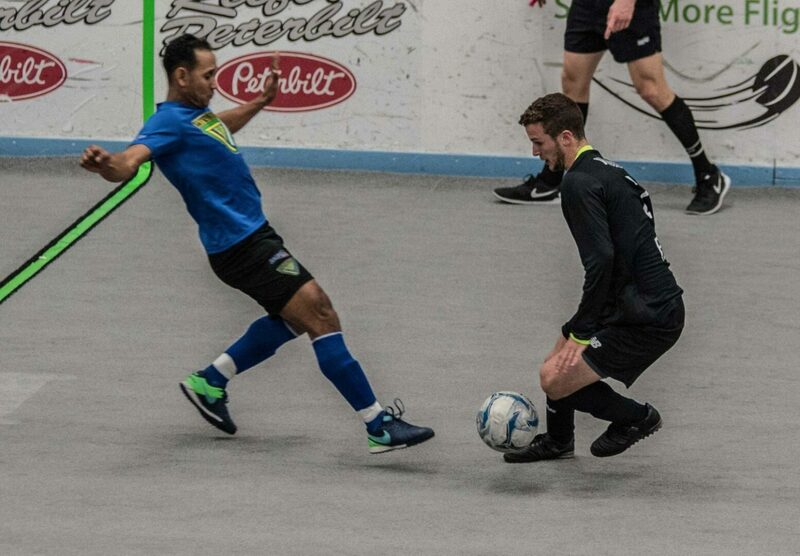 The Risers had several chances to get a go-ahead goal in the final minutes, including a 5-4 player advantage when Detroit was carded and received a two minute penalty, but failed to convert. Tinnion’s stunning goal 11 seconds into the extra period ended the game and sent a disappointed hush over the crowd at the arena. The Risers outshot Waza Flo 25-22.